The battle of Ruapekapeka took place in January 1846 and it was the last battle of the “Northern War”. 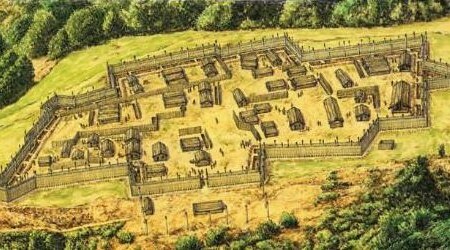 A force of around 400 Ngāpuhi and Ngāti Hine had built large earthern fortifications called a pā, which they had designed to defend against the British strategy and armaments of the day. The Māori warriors were fighting for rights guaranteed to them under Te Tiriti o Waitangi (The Treaty of Waitangi). The British forces where there to put down the “native rebellion” that they viewed as a threat to the authority of the Crown. The Māori forces entrenched at Ruapekapeka were continually bombarded by British cannon fire for over a week and the Ngati Hine chief, Te Ruki Kawiti, planned to withdraw from the pa from 8th January. What happens next and why is somewhat in debate. What we do know is that reinforcements arrived in the form of Ngāpuhi tribal chief, Hone Heke and his men. On 10th January, the British officer in charge, Colonel Despard had all his guns in position and targeted the north-eastern side of the pa, breaching the timber pallisade. On advice from allied Maori leader, Nene, he postponed storming the breach until the following day, Sunday 11th January 1846. By all accounts, the British attack was a surprise to the Maori defenders who thought their adversaries too pious to attack them on the Sabbath. Only a small force was found to be still in the pa (including Kawiti) and after a few hours of fierce fighting, the British gained control of the pa. Allied Maori forces under British command did not take part in the attack as the British soldiers could not tell them apart from the defenders. Yesterday the news came that the Pa was taken on Sunday by the sailors, and that twelve Europeans were killed and thirty wounded. The native loss uncertain. It appears the natives did not expect fighting on the Sabbath, and were, the great part of them, out of the Pa, smoking and playing. It is also reported that the troops were assembling for service. The tars, having made a tolerable breach with their cannon on Saturday, took the opportunity of the careless position of the natives, and went into the Pa, but did not get possession without much hard fighting, hand to hand. The interpretation by Reverend Davis is possibly not correct as some historians consider the withdrawal to be an ordered retreat with plans of ambushing the British. Many of the defenders escaped killing a further 12 troops and wounding 29, who ran into an ambush as they pursued Kawiti. It is unknown how many defenders were killed. Ruapekapeka pa is now managed by the Department of Conservation. To visit this fascinating site, travel 14 kilometres south of Kawakawa and turn into Timperly Road, near Towai. The below description of the design of Ruapekapeka pa and defences is graciously provided by Ngati Hine a Hineamaru. To find out more about Ruapekapeka, visit the official DOC website: www.ruapekapeka.co.nz. Please remember that Ruapekapeka Pa is a valuable historical site of great importance and treat it with the respect it deserves. 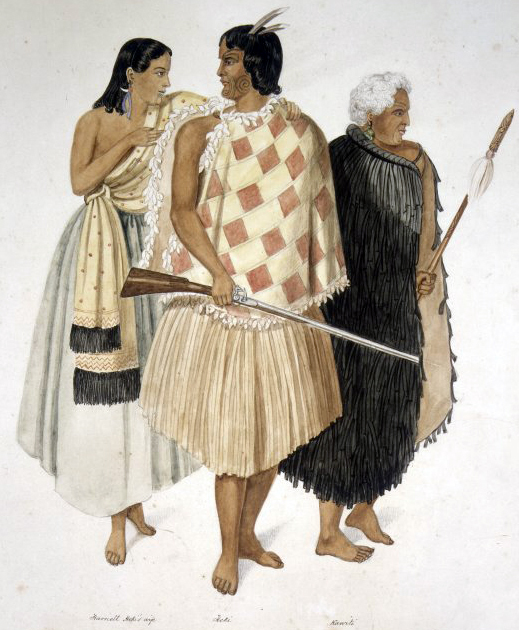 The design of Ruapekapeka Pa in 1845 was based on the fact that Kawiti and his lieutenants realised that open combat in the field was futile and that the British had the resources to outlast the hapu (family) freedom fighters in a protracted conflict. Lining up in an open field against lines of British soldiers and exchanging musket fire wasn’t a good strategy especially as the British had cannon as well. This happened in May, 1845 when Kawiti and Hone Heke strategised together in the battle of Te Kahika (beside Lake Omapere) where despite their clever tactics to squeeze the British in a pincer movement and the British eventually withdrawing from the battlefield, heavy losses were inflicted on the Maori forces, including Kawiti’s son Taura, amongst others. In June/July, 1845, Ohaeawai pa showed clearly how well the new tactics would work when the British were taunted to make a full frontal charge against the strongly palisaded pa and lost over 100 casualties in the space of only 5-7 minutes – a charge ordered by Colonel Despard. And so Ruapekapeka Pa was built from about September 1845 onwards on the Tapuaeharuru range and it was still being completed when the British forces arrived there in late Dec, 1845. What you won’t find in any history books is that the design of the underground maze of tunnels and bunkers, first at Ohaeawai and mainly at Ruapekapeka was motivated by one of Kawiti’s main rangatira toa – Mataroria. It is said that, Mataroria was inspired to build these types of defences by the ‘Puru Tuna’ famous in Ngati Hine. One of the best known Puru Tuna was at Tororoa. 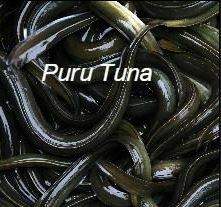 A Puru Tuna is where hundreds of “tuna” (eels, not tuna fish) would be writhing in tight ball, in a shallow hole in the ground – with next to no water inside. The locals would put a bung in the top of the hole, and only take it off when they would need to help themselves to a few for their kai (food). The tuna would be able to enter and exit the ‘Puru’ by a subterranean passage connecting it to the creek close-by. And even today, the area known as Te Tororoa is known for its big, fat eels. 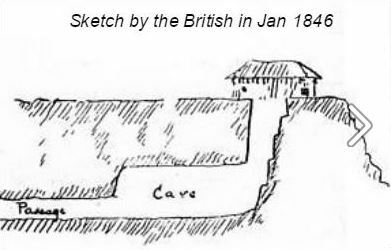 After the battle of Ruapekapeka, the British took detailed drawings of the pa’s defences, including the underground defences. They noted that the underground bunkers could hold about 20-30 people and were covered by timbers and had a small whare built over them. Each of the bunkers was connected by tunnels to the outer defences so that the defending toa (warriors) could move around to various points being attacked while being safe from cannon and mortar fire. By all accounts, the defenders were safe and dry in their underground bunkers, but the British kept up a slow bombardment which made life terrible within the ‘Bat’s nest’. At times, the defenders would go above ground to grab the explosive mortar charges being hurled into the pa and take out the fuse before they exploded – then taking out the gun powder for their muskets. 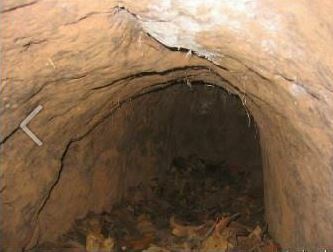 The remnants of the burnt pa’s palisades were still clearly visible in the 1950’s but the entrances of the tunnels were caved in after becoming a real hazard for children who wanted to explore the underground caverns.